Give your best non 2 max 2018 summer, also broadly outlining what would be your 2019 FA theoretical plan (i.e. if you're punting, who are the 2019 targets)? Fundamentally, we are at an interesting crossroad. If we don't get 2 max level FAs, always a distinct possibility, do you punt once again and try to get 2 max in 2019 (and this would be basically 3 seasons of trying to do that) or do you start building from the bottom up? 3. try to sign reasonable 2+1 or 1+1 (all final year team options) to get veteran players who will help our young core...and so on. The main questions will be what to do with Jules and JC, though the latter is on a deal already. We should brace for a possible non 2 max FA offseason as much as we should hope for 2 max FAs. What would be an ideal Plan B if we failed with our primary plan? Bear in mind that in 2019, we'd have a 1st round pick (thank you Stepien Rule). So while I don't think we'd tank, we may still get a decent lotto pick out of it if we didn't get 2 max players. I don't think that there is any chance of that happening. Magic will not allow this team to look like this for another season. It doesn't shine a good light on him. I believe that Just like Riley did with the Heat big 3, I think that Magic has some back channel shenanigans going on and that's why he punted last summer. Something big is brewing and that also why the front office has been so silent. That's not what I'm looking at here. I started a thread for non 2 max possibilities. 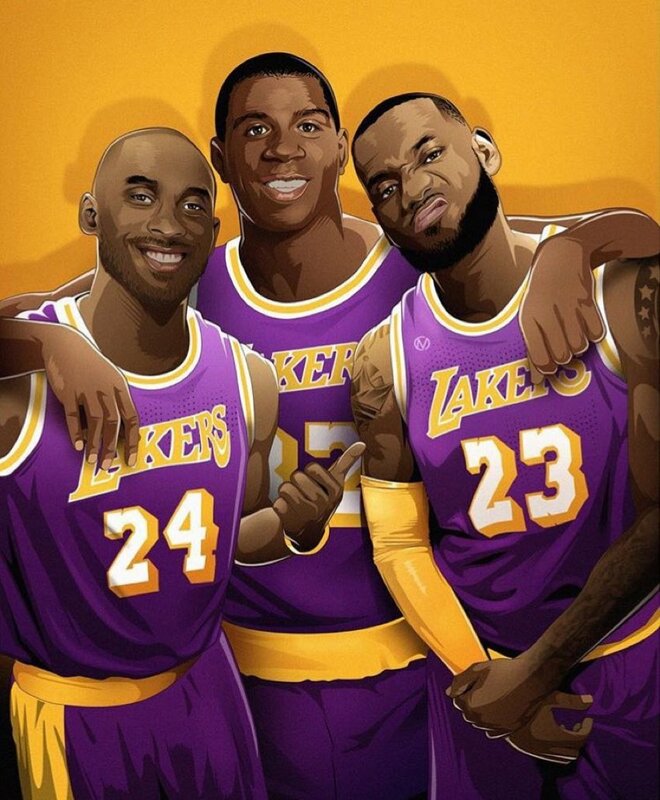 With LBJ/PG13/Boogie, there's a chance all 3 stay or go elsewhere. Then what? That's my interest here. I think that Magic knows, for sure, that he can and will get at least 1. The issue is then what? What do you do with the rest of the cap? Do you, barring that he's not already traded, resign Randle? Sign some mid level free agents? I think that if Magic can get 1 max guy, he will. Maybe the 2 Max guys will have to be spread over 2 summers versus 1. I think that if we can't get 2 max players, sign one, do NOT sign any mid level free agents, except for a shooter. Punt away the rest and wait for Summer 19 to try and snag another. I just believe that the 2 max players will happen....THIS Summer. I believe at least 2 outta Lebron, PG, Boogie are coming. So why are you participating in this thread? I'm trying to have a separate space for folks to be able to talk about their non 2 max plans. I actually posted what we should do, in case we don't get 2 max players. If you would read it and stop trying to be a smarta$$, you would see that. I also gave my opinion that I think that we will get 2 max guys. OK, but I'm trying to keep this to non 2 max plan options. Thanks for your opinion. Is it a viable strategy to tank in 2018-19, get a top 5 pick for 2019, then try for 2 max again in 2019? Or do we start incrementally adding veteran core pieces on 1+1 or 2+1 (team options) so that they can support our young core? Do we try to save 1 max spot, use the other space to get veteran core pieces on favorable deals? Logically, it makes sense. But as a Laker fan, could you stand to go through another season like the last 5? Especially when there is no guarantee that we would get a good pick. what if we tank but, not bad enough to get a top 5 pick? Building around the young core, adding vets to help is not a bad idea. I just don't think that Magic, and Laker Nation as a whole, have the patience enough to see it through. We the Lakers, we like big shiny toys and we have been forced to play with little tinker toys for too long. I can't take any more tanking, but if it's there, then it'll be an option. I think we would have to walk away from 2 max in 2019 and spend cap space to get vets in 2018 and have enough for 2019. However, Jules complicates things cap-wise. It's hard for me to answer that question directly because I wouldn't have followed that strategy in the first place. But I'll give it a shot. Let's assume that Magic and Rob are unable to sign two of the big targets. I am using the term "big targets" to refer to Lebron, George, Cousins, or whoever else of that magnitude turns out to be available. I am not including any lesser players who get packaged by Magic as max free agents to save face (which is one of the dangers if this goes south). 1. Total strikeout -- none of the big names sign. Obviously, I wouldn't double down on 2019. I would ditch this whole strategy, fill out the roster with whatever quality players we can sign, and get on with it. 2. Paul George only. This is a somewhat likely scenario. I realize that some people have romanticized Paul George over the last year, but I don't think he makes us a solid playoff team, much less a contender. We'd be scrambling with a handful of other teams for the 7 or 8 seed and the privilege of getting nuked in the first round. I'd keep Randle and target a defensive big man with whatever room with have left. I'd laugh at Magic for wasting Russell and creating all the drama. 3. Cousins only. This is also a somewhat likely scenario. We would need to invest in shooters, even if it means letting Randle go. Even though I don't like Cousins, I'd actually be somewhat more positive about the team going forward. I still believe it's likely 2 max or 0 max this summer, and I really want PG13 to come here (and I agree that PG13 alone doesn't guarantee us a playoff berth, precisely why I think it'll take another max player or several quality vets via FA or trade). Did everybody forget that starting from next year tanking doesnt mean you have the best chance at winning the lottery? Punt this offseason, punt 2019 offseason, maybe by 2020 we are attractive enough to bring in a top FA. Right, but it's just a reallocation of %. The theory would be that we could "steer" ourselves in a bottom 5 direction, which I would detest and hate but acknowledge is possible. Yinona, I/m with you in thinking very pessimistic about the 2 max plan and signing any of George,James or Boogie. 1. Offer CCapela a 4year 60mil. I think Rockets will have a hard time matching that. 2. Sign WBarton to a 4year 54mil. 3. Bring JJack in a one and one deal, let's say 6mil. 4. Sign Julius to 4yr 48mil. Any FO can plan, but the bottom line is nobody knows the future. The FO has to be reactionary to the cards that are dealt. Obviously, the 2 max is the first option followed by the one max. I think we are MUCH MORE attractive than we were in the off season from hell. Does that mean anything? Time will tell. I think the FO is more in tune of what not to do (panic and overpay in terms of money and years for mid tier players like are previous FO). You will not see this FO get played and put in a position of almost bidding against themselves. I know some do not like this FO (which is fine), but you have to at least give them that much credit. If we strike out on the first two options, I would not be opposed to keeping our young core together and further develop them. We could grab a pick by taking on an ending contract or we could sign a couple of mid tier bargain FA's (Tyreke and Jodie for example) and try to build upon what we are doing this year. I think this may be the better option (if we do not get a max which I think we get AT LEAST one). Everybody is down now, but we will start playing better and approach respectability with a softer schedule. My guess is if Magic strikes out on free agency, he'll go with the young guys, punt with one-year contracts and go after free agents next year. Don't know who's on the market. Somehow even though I SHOULD be pessimistic, I think we have a great chance at a PG13/Boogie, keep Jules (if we want to) summer. Just opening up a space for those who are less confident to have a venue to discuss non-max FA possibilities outside of the larger FA thread. Rebuild from within. Let this team and coaching staff gain some experience, stability and chemistry. Keep as much of the young core together as possible and let them develop. The cap space is the interesting issue. Depends on not just who is an UFA but the RFA's, the released players or those that option out. Also those possibly available in trade to absorb contracts. There will be options out there others then just the marquee FAs. Some not even being considered at the moment. Replacements for Lopez and KCP the most glaring. Will they re-sign for significantly less? Can you augment their positions if they do take less? Not completely convinced that the Lakers will be completely shut out of the FA market. Just not the marquee guys. More for fit then overhaul for a couple seasons. My preferred focus would be on a couple of the mid 20's mid level FAs. Keep adding to the roster depth. Instead of a $30M max player why not two $15M developing vets? Give them 2-3 contracts for stability. Acquiring talent that can improve and still be traded if desired. Just not in the headlines. Looking for opportunities instead of boldly attempting to force them at all cost. Edit- Just saw the speculated Capela/Barton/ Jack additions. Just one of a wide variety of improvements that fit this timeline and team. Nicely played. Bear in mind, re-signing Jules for say 15m/year would eat into the 2019 cap space too. He is the first decision the Lakers would have to make. I don't think Houston will let Capela go. He is instrumental to their success. I'm opposed to a 4 year deal for Barton. The key IMO is flexibility. Rather overpay on 1+1 or 2+1 deals than go a full 4 years.